This is a great series of books about the life and times of the Pirate. 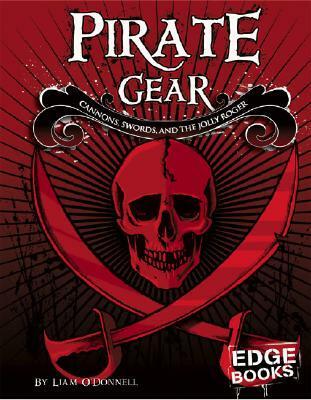 This book focuses on the clothes and tools that Pirates used during their times. Filled with great illustrations and written in a easy-to-understand writing style, this book should appeal to every age reader. Describes the tools and equipment pirates used for daily life at sea, as well as the weapons used for their deadly raids on merchant ships. Liam O'Donnell - I’m an award-winning author, educator and literacy advocate. I have created over 35 graphic novels and books specifically for reluctant readers, including Max Finder Mystery, Graphic Guide Adventures, Geeked Out Mysteries and two new series Tank & Fizz and Battle of the Blocks. Visit liamodonnell and say hi! That'd be awesome.